At Woodlands, we hold worship services in two different rooms on Sunday morning: the Gym and the Chapel, usually at the same time. In each service there is a host pastor, a live worship band, and the same sermon by the same teaching pastor. In some rooms the sermon is in-person and in some rooms, it is a high quality video feed. Explore our site to learn more about specific ministries, staff and lots more including updated blogs from our missions' teams. Our purpose:"Building Communities of Christ-centered People to Reach the World"
At the heart of who we are is the reality of who Jesus is. He is the Eternal Son of God, the perfect God-Man who gave His life on the cross to pay the penalty for our sins, so that we could be forgiven and have the abundant and eternal life that He offers. Our passion is to know Him and to make Him known; He is the best that life has to offer. So at our very core, we exist to help people begin, develop, and sustain a relationship with Him. All that we do is designed to contribute to that. We don't exist to carry out our own agendas and plans, but to follow His leading, as it is revealed primarily in His Word. Our highest privilege and greatest responsibility is to help you begin a life changing relationship with Jesus. To learn more about a relationship with Christ, click here. Woodlands Church is part the Evangelical Free Church of America - an association of over 1500 churches that affirm the statement of faith below. 4. We believe that Jesus Christ is God incarnate, fully God and fully man, one Person in two natures. Jesus – Israel’s promised Messiah – was conceived through the Holy Spirit and born of the virgin Mary. He lived a sinless life, was crucified under Pontius Pilate, arose bodily from the dead, ascended into heaven and sits at the right hand of God the Father as our High Priest and Advocate. 5. We believe that Jesus Christ, as our representative and substitute, shed His blood on the cross as the perfect, all sufficient sacrifice for our sins. His atoning death and victorious resurrection constitute the only ground for salvation. 9. We believe the personal, bodily and premillennial return of our Lord Jesus Christ. The coming of Christ, at a time known only to God, demands constant expectancy and, as our blessed hope, motivates the believer to godly living, sacrificial service and energetic mission. Additionally, there are core values we strive to live out in the context of our church community. Because Jesus said “apart from Me you can do nothing,” we will rely on God’s strength and guidance through consistent and widespread prayer, at three levels, individually, in teams, and corporately. Because God is infinitely worthy of honor and praise, we will seek to worship Him in truth filled and Spirit led worship services and to deepen our personal and daily experience of worship. Because Christ is the hope of the world and His people are to be the salt of the earth, we will seek to impact our community by doing good deeds and sharing the good news. Because Jesus said “make disciples of all the nations”, we will be actively, strategically, and generously involved in sending and going to the least reached and least resourced peoples and places of the world. Because every person matters to God, we will help all people grow in Christ centered faith, obedience, service and witness in ways that fit their stages and situations of life. Because we need each other, we will pursue life in Christ together in small groups and serve Christ together in ministry teams. Because God is honored and people thrive when Biblical love is practiced, we will create and maintain a culture of love, while expressing our differences with graciousness and pursuing our vision with unity. Because God has revealed that we are owners of nothing and stewards of everything, both corporately and individually we will seek to manage the financial resources that He has entrusted to us with faithfulness and integrity. At Woodlands, we focus on seven core ministries. You could say they are part of our DNA. Over time, we may adjust how they're put into action to meet changing needs, or to take advantage of more effective ways to minister. We value the freedom to change and to try new approaches to accomplish our purpose. We strive to cultivate a culture of grace that celebrates creativity and new initiatives - even if this means occasionally failing! In the pursuit of being effective, we'd rather try and fail at a new ministry idea, than not try at all. Check out our seven core ministries to better understand what we do and why. As we build communities of Christ-centered people to reach the world, worship will serve the purpose of seeing our congregation and community encounter God and respond, remember, and re-orient to the Gospel. Since the Bible tells us our entire lives are meant to be acts of worship (Rom 12:1-2), we see worship as so much more than the songs we sing, or our traditions. We believe, however, that the Bible clearly teaches us as a Community of Believers to worship Him through song (Ephesians 5:19). We believe in the power and potential of worship through song to point our hearts and minds to the realities of the gospel. Our hope is that everyone attending will have a genuine encounter with the Living God. Our prayer is that after worship you remember our awesome God, not our music team. If you’re spiritual seeking, we hope you experience a genuine interaction between Jesus and His followers. We long to respond to God's grace by loving and serving our community. God has the power to transform lives and He invites us to play an active role in transforming the lives of others - by meeting people's needs in Christ's Name. 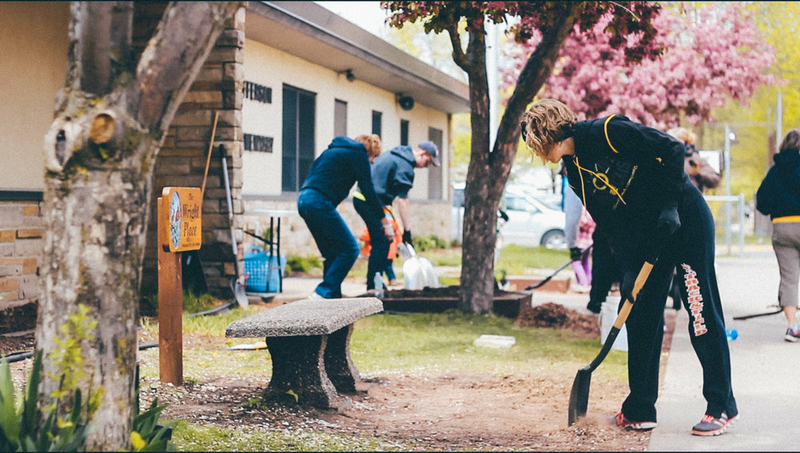 As we serve, we find ourselves enjoying the fellowship of working alongside one another, building relationships with those we serve, and finding fulfillment in putting our faith into action. We invite you to join us in joyful service to our community. 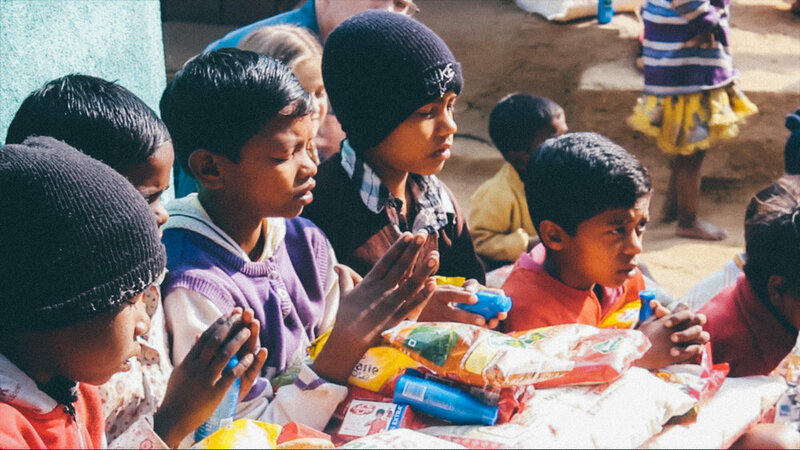 Read more about our Global Outreach Ministry here. God created us to be in meaningful relationships, and we thrive when we “do life” with others. As Christ followers we understand that we need each other for support, encouragement, learning, accountability and friendship. We also believe that personal spiritual growth as well as emotional and family health are enhanced when we live our lives in community with others. Woodlands is a large church so we cannot be in a meaningful relationship with everyone in the church but our desire is that everyone be connected meaningfully with others. In our church one of the primary places that this happens is through involvement in group life. So our goal is to connect people in groups that are deeply relational, significantly transformational, and intentionally missional. We pursue the development of four broad categories of groups where you can connect with others. Life Groups are groups of 6-15 people that generally meet in homes, usually stay together for at least one year, and tend to experience the most significant relational development. They are the core of our group life ministry. Classes are various size groups that meet for shorter periods of time and are formed around the common desire to learn more about a particular subject. They also provide a taste of the more significant friendships that can be formed in life groups. Gender Groups refers to our men’s and women’s ministries. The unique needs of men and women allow for rich learning and relational experiences together. Lifestage Groups refers to groups that are formed around a stage of life or a situation in life.Common experiences in life often provide the foundation for meaningful relationship with others. We love the fact that we have lots of Junior and Senior high school students involved in our church. They are a high priority for us as they are transitioning to adulthood and we want to help them and their families in this exciting, but often challenging time of life. We believe that ministry to Junior and Senior High school students is critically important, and so we are committed to investing significant resources in this ministry. We have full time staff pastors who are dedicating their lives to help students grow in their understanding of Christ and what it means to have a relationship with Him. While our programs and methods will flex and change over the years, at the core of our ministries is the belief that we have to meaningfully engage them with the Bible, connect them to other students, and encourage them to be obedient to Christ and serve others. We always strive to find the balance between achieving these goals and yet having fun doing it. We also want to connect them with as many positive role models as we can so the adult /student ratio is always pretty high. Our ministry to students is an open ministry so we love to have students participate who are not part of our church and we encourage students to invite their friends. Children and families are important to us at Woodlands Church, so we offer a variety of age-appropriate options. Our desire is that families would be healthy, encouraged and equipped, and that children would be included, safe and loved! For more details about our Children’s Ministries, click here. At the heart of the Christian message is the wonderful truth that God loves people deeply and is concerned for their welfare. Jesus gave the church the task of shepherding and caring for individuals, because He loves every person. At Woodlands that means we are committed to finding ways to care for people in their times of need. The primary way that people experience care here at Woodlands is through the group life ministries of our church. We believe that people are cared for best by people who know them best. So we are continually working at ways to connect people to other people in meaningful relationships so that care will happen naturally along established relational lines, like it does in a healthy family. We recognize that not everyone can be connected in groups for various reasons. We also understand that some needs require more specialized help, or a larger group of people involved to really care for people well, so we have developed additional ministries to care for people in times of need.